NaturaHDP from Florida tile. 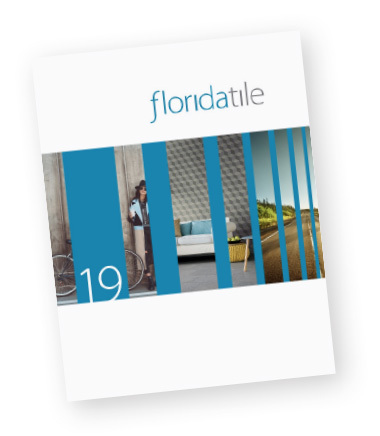 Originally from the Italian word natura, which means “natural”, Florida Tile’s NaturaHDP is exactly that. A modern interpretation of one of the most natural building blocks of civilization, wood. Organic in its wood grain, but thoroughly contemporary in its colorful design palate, NaturaHDP is the perfect marriage. This evolution of a wood has brought a true commercial vehicle that will perform technically and aesthetically in any environment. Available in seven distinct colors, the NaturaHDP is created in a 6x24 plank with a slightly distressed wood grain surface. The graphic and texture are based on a traditional Oak plank, but the style has been refined to meet the demand of current interior design needs. Complimented by a 24” bullnose, the line boasts a color body with 40% pre-consumer recycled content and third party certification. The surface is compliant with the DCOF Acutest® requirements for surfaces (commercial or residential) expected to be walked upon when wet and the product has been tested for indoor air quality and water absorption.